Where to start with SEO for your website? If you’re new to search engine optimization (SEO), it can be challenging and overwhelming to decide where to start. Where do you start with SEO and what should you be looking for? There are specific areas of SEO that anyone or any website can benefit from analyzing, including blogs, e-commerce websites as well as small or local businesses. 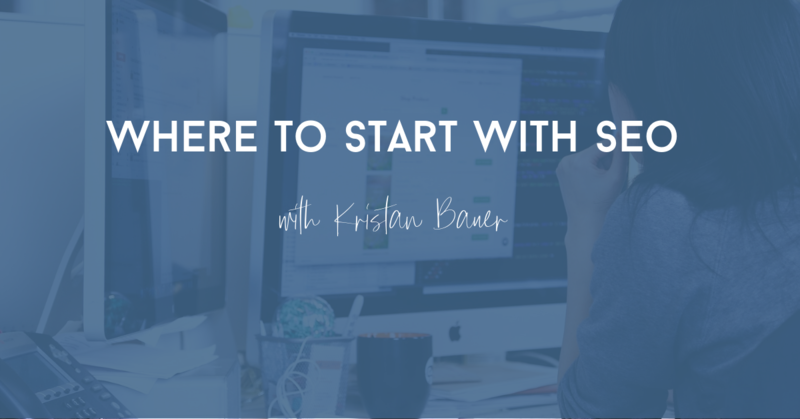 Here are five tips on where to start with SEO if you’re new to it. It’s hard to understand the current state of organic traffic or where to go if you don’t have an accurate baseline. This includes setting up analytics tools and any other SEO-specific tools. 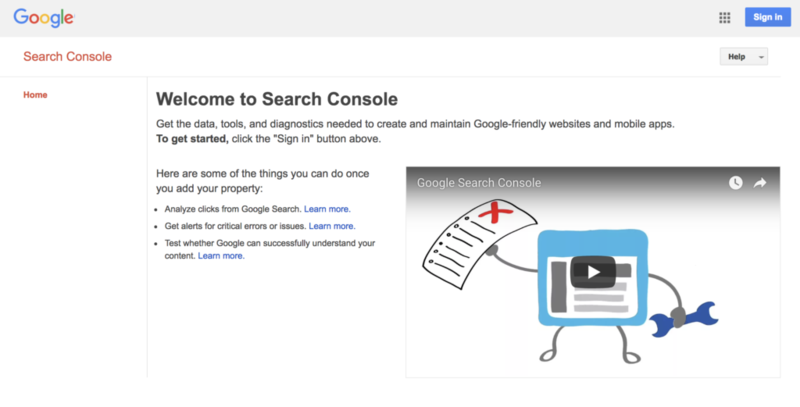 Two of the most important tools you’ll need are Google Analytics and Google Search Console. Both are free and easy to set up (you can set up through your hosting provider or through the Yoast SEO plugin if you have WordPress). 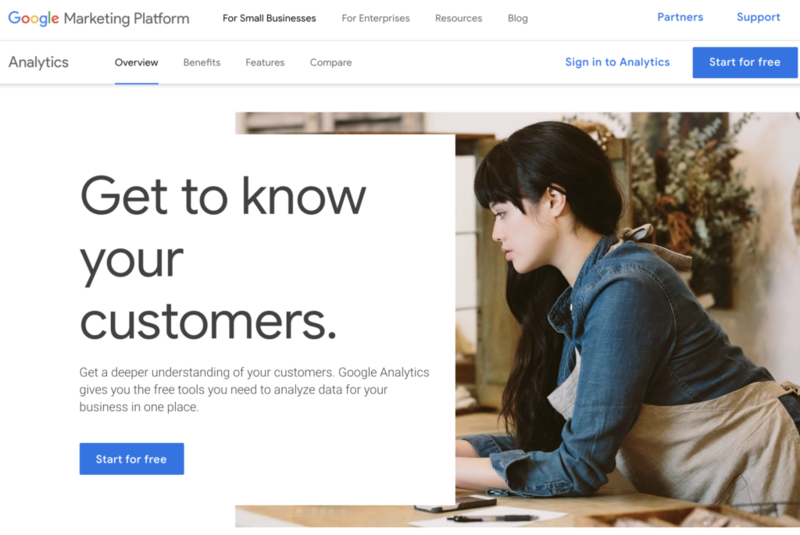 Google Analytics will tell you much more than just organic search, including referral traffic, paid traffic and any other traffic-driving channels. If you want to track organic search, use the advanced segments at the top to select “organic search” and isolate incoming traffic from search engines. Google Search Console (GSC) will allow you to monitor your website’s health and “communicate” with Google on important changes. In GSC, you can submit XML Sitemaps, monitor indexation, and track site errors. Other tools that are useful to set up might be SEO-specific tools, such as SEMrush or Moz Pro. Both allow website owners to set up custom campaigns where you can regularly audit and monitor keyword ranking. Performing an SEO audit of your website is a basic place to start with SEO and can be cumbersome but it doesn’t have to be… This might include checking basic things, such as making sure your links are working correctly and tracking the pages your website has indexed. I always like to start my SEO audits with a site crawl (you can use free tools such as Screaming Frog, where they allow for 500 pages free or use a more extensive crawler with the paid service or other tools like SEMrush or Moz Pro). From a website crawl, you’ll be able to crawl as Googlebot (Google’s crawler) or any other search engine crawler. Once you have your crawl results, reviewing for major errors or internal linking opportunities can be helpful. You’ll also be able to discover any instances of duplication through your content, such as title tags and meta descriptions. This is helpful to determine where to focus on creating unique content and optimizing pages further. This is a really easy and important step in understanding what’s actually indexed in search engines. Use an advanced search operator such as “site:yoursite.com” and see what pages Google or Bing have indexed. 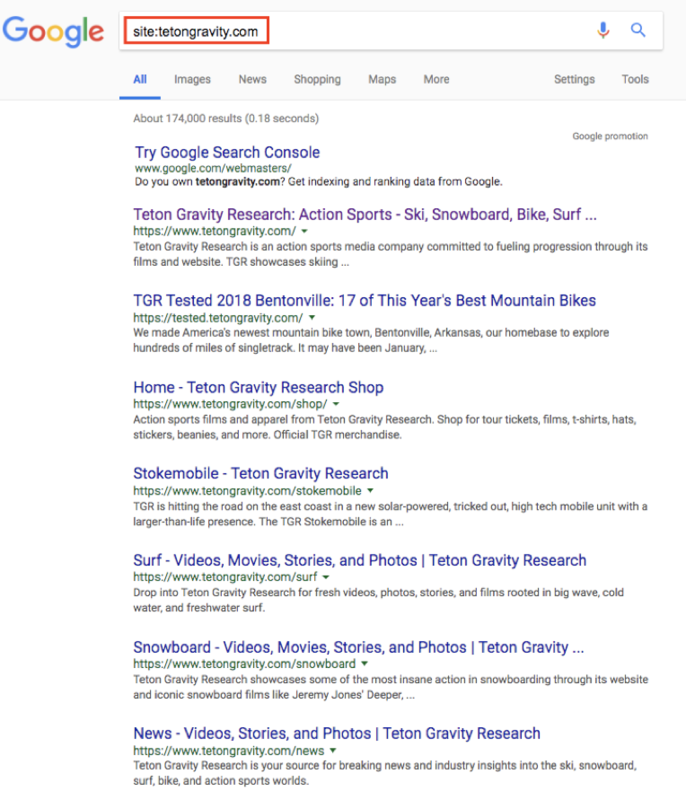 Reviewing what your site has indexed is a helpful drill to evaluate the quality of content you have in search results. From here, you’ll want to review the pages you have indexed to make sure it’s what you want! Oftentimes, you’ll be able to find pages that likely shouldn’t be indexed. Understanding where your website ranks is a critical step on how to start with SEO and formulate your SEO strategy. Ideally, check your current ranking with SEO tools, such as SEMrush or Moz Pro (there are many different tools that allow for keyword ranking reports or checking current ranking status, these are just my two favorites). You’ll want to check your core terms that your website or business should (or you want) to rank to make sure you’re hitting your target audience. 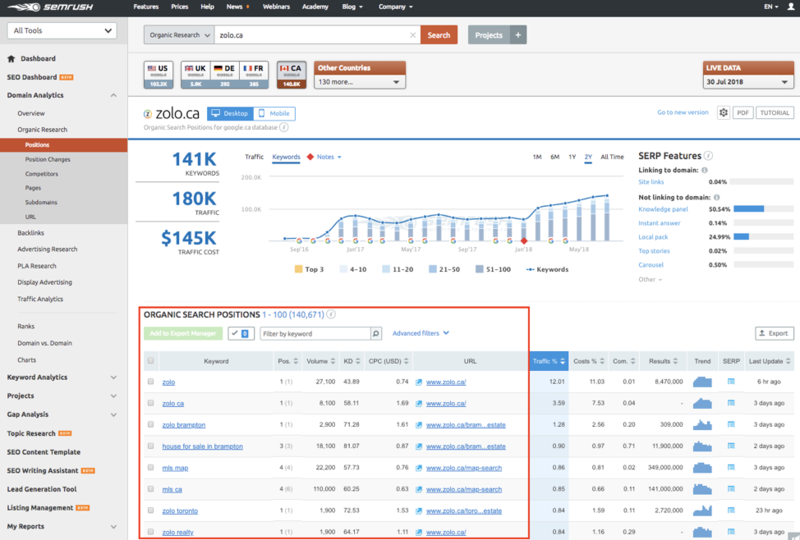 You can also track where your competitors are ranking to see where you have gaps. Also, check terms where you might be ranking on the bottom of page 1 to page 4 in search results for terms within “striking distance.” You can prioritize these terms to improve the optimization of those specific pages. This is an important step to better understand the current content and ranking assets you have and where to improve. Once you have an understanding of (a) your site’s current traffic, (b) any technical SEO improvements for your site’s health and (c) your site’s current ranking, the next step is prioritizing your key pages for ranking. Improving the search ranking for your key pages will typically require both on-site and off-site SEO tactics. On-site SEO improvements might be optimizing your content better for target terms, including your title tag and meta description. Other key on-site improvements might include adding some more internal links to that page or improving your page load times. Off-site SEO improvements might be reaching out to a few influencers in your market to promote your content and proactively seek some backlinks. This could also mean sharing your content across social channels and maybe some syndication networks. What SEO tactics have you found helpful when starting out with SEO? Please share in the comments below! I had been indicated this blog by using our nephew. I’m no longer specific regardless of whether this specific upload is actually written through them seeing that no one else recognize this kind of specific somewhere around my own problems best seo strategies. You are wonderful! Many thanks!